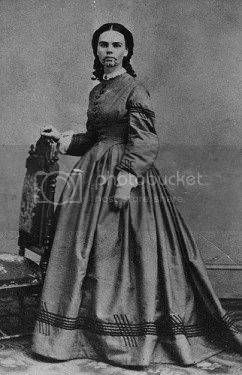 Olive Oatman was a fourteen-year-old girl whose family was killed in 1851 in present-day Arizona by Native Americans, possibly the Yavapai, who captured and enslaved Olive and her sister. A year later Mojave Indians adopted the two girls. After four years with the Mojave, during which time her sister died of starvation, Oatman returned to white society. Her story has been told, retold and embellished so many times – in the media and in her own memoir and speeches – that the truth is not easy to discern. A wagon train of approximately 90 Brewsterites left Independence, Missouri on August 5, 1850, bound for the Colorado River now in southern California, which he claimed was the “intended place of gathering” for the Mormons. Dissension caused the group to split near Santa Fe in New Mexico Territiry with Brewster following the northern route. The Oatmans and several other families chose the southern route via Socorro and Tucson. Near Socorro, Royce Oatman took command of the remaining wagons. They reached New Mexico Territory early in 1851 only to find the terrrain and climate were not what they expected, and they abandoned the idea of reaching the mouth of the Colorado River. When they reached Maricopa Wells, they learned that the trail ahead was rough and the Indians were hostile. The other families decided to stay at Maricopa Wells, but this was not what Royce Oatman had envisioned for his family. He was determine to find a place where he could build a future for his seven children, who ranged in age from one to seventeen. On the fourth day of their solo travels, a group of Native Americans approached them, asking for tobacco, guns and food. On February 18, 1851, a group of Yavapai tribesmen attacked them Oatmans on the banks of the Gila River east of what is now Yuma, Arizona. Royce, Mary and four of their children were killed at the scene, and their son Lorenzo was badly injured. Lorenzo regained consciousness to find his family killed and Olive and Mary Ann missing. He eventually reached a settlement where he was treated for his wounds. Three days later, Lorenzo found the bodies of his slain parents and siblings. Lorenzo and the men who accompanied him had no way of digging proper graves in the rocky soil, so they gathered the bodies together and formed a cairn over them. It has been reported that the remains were reburied several times in the ensuing years, and Arizona pioneer Charles Poston supposedly moved them to the river for a final reinterment. Olive, age 14 and Mary Ann, age 7 were captured and held as slaves at a village near the site of modern Congress, Arizona. After arriving at the Yavapai village, the girls were treated in a way that appeared threatening, and Olive feared they would be killed. However, they were used as slaves, forced to forage for food, carry water and firewood, and other menial tasks; they were frequently beaten and mistreated. A year later, a group of Mojave Indians visited the Yavapai village and traded two horses, vegetables, blankets, and other trinkets for the girls, after which they were forced to walk several hundred miles to a Mojave village where the Gila River met the Colorado River, near what is now Needles, California. Tribal leader Espianola and his family immediately adopted Mary Ann and Olive Oatman. The Mojave were more prosperous than the Yavapai, and both Espianola’s wife Aespaneo and daughter Topeka took an interest in the Oatman girls. Aespaneo arranged for the Oatman girls to be given plots of land to farm. Olive expressed her deep affection for these two women numerous times over the years. Whether Olive and Mary Ann were truly adopted into that family and the Mojave people is unknown. Olive later claimed that she and Mary Ann were captives and that she was afraid to leave. 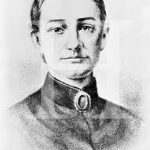 She did not attempt to contact a large group of whites that visited the Mojaves during her period with them, and years later she met with a Mojave leader in New York City and spoke with him of old times. The Mojave marked both Oatman girls on their chins with indelible blue cactus tattoos in keeping with tribal custom. According to Mojave tradition, such marks were given only to their own people to ensure that they would have a good afterlife. In the year 1855, according to contemporary weather reports, the tribe experienced a severe drought and an accompanying shortage of food. 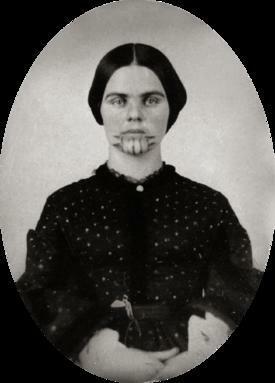 Mary Ann Oatman died of starvation, at the age of eleven, along with many Mojave people. Lorenzo Oatman was still searching for his sisters. At some point during the winter of 1855-56 the U.S. Army received word that Olive was living with the Mojave. When Olive Oatman was 19 years old, a Yuma Indian messenger named Francisco arrived at the village with a message from the authorities at Fort Yuma, which is in Imperial County, California, across the Colorado River from Yuma, Arizona. Rumors were circulating that a white girl was living with the Mojave and the post commander requested her return – or to know why she chose not to return. The Mojave initially sequestered Olive and resisted the request, first denying that Olive was white. Over the course of negotiations, they also expressed their affection for Olive. Shortly thereafter Francisco made a second fervent attempt to persuade the Mojave to part with Olive, offering them blankets and a white horse in exchange, and he passed on threats that the whites would destroy the Mojave if they did not release Olive. After some discussion, in which Olive was included, the Mojave decided to accept these terms. 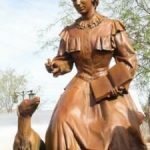 On February 28, 1856, Olive Oatman was ransomed and escorted on a twenty-day journey to Fort Yuma. Topeka (daughter of Espianola and Aespaneo) went on the journey with Olive. Before entering Fort Yuma, Olive insisted she be given proper clothing, as she was clad in a traditional Mojave skirt with no covering above her waist. Inside the fort, Olive was surrounded by cheering people. Within a few days, she discovered her brother Lorenzo was alive and had been looking for her. Their reunion made headlines across the West. In 1857, the Reverend Royal Stratton wrote Olive’s story: Life Among the Indians: Captivity of the Oatman Girls, one of the few published accounts of Indian captivity at that time. It was incredibly successful and sold out three editions in one year, a best-seller in that era. In 1858 the Oatmans moved to New York with Stratton, and Olive went on the lecture circuit to promote his book. These appearances were among the few occasions on which she appeared in public without wearing a veil to cover her tattooed face. Olive stated that the Mojave tattooed their captives to ensure they would be recognized if they escaped. “You perceive I have the mark indelibly placed upon my chin,” she said, neglecting to mention that most Mojave women wore chin tattoos. Evidence does suggest that she was happy living with the Mojave, willingly accepted the tattoo, and neglected some opportunities to make her situation known to white people the tribe encountered. While Olive sometimes spoke with fondness of the Mojave, she became less positive about her experience over time; she may have suffered from Stockholm Syndrome. Royalties from Stratton’s book paid for the education of Lorenzo and Olive at the University of the Pacific. 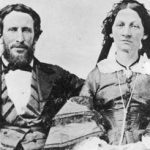 In November 1865, Olive married cattleman John Fairchild. 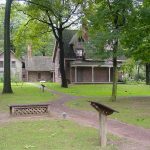 They lived in Detroit, Michigan for seven years before moving to Sherman, Texas, where Fairchild was president of the City Bank. He made his fortune there in banking and real estate. Fairchild is said to have burned all copies of Stratton’s book that he could find. In 1876 Olive and John adopted a baby girl named Mamie. 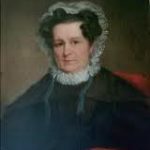 Shy and retiring, Olive was interested in the welfare of orphans but rarely discussed her own youth as an orphan and Indian captive. She always kept a jar of hazelnuts, a staple Mojave food. The town of Oatman, Arizona, a ghost town renewed by tourists from a nearby gambling town, is named in her honor. A Texas historical marker was placed at her grave in 1969. The first scholarly biography of Olive Oatman, The Blue Tattoo: The Life of Olive Oatman (2009), debunks a number of myths that have circulated about her over the past century and a half.